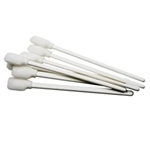 Swabs are used to manually clean printheads, captops and wiper assemblies. Intended for use in all Roland inkjet devices. There are 50 swabs included in this pack and each swab is 5 inches long. The Ink Cleaner Kit includes solvent cleaning fluid for removal of ink deposits on the print head and surrouding parts. This is used for routine cleaning of the SureColor S-Series printers. Additional waste ink bottle for the Epson SureColor S-Series Printers. Contains ONE waste ink bottle. Cleaning kit for Epson and Roland solvent printers. Printer maintenance kit used for periodic print head cleaning of the Epson SureColor S-Series printers. This kit includes a replacement flushing pad, wiper, wiper cleaner, gloves and cleaning sticks. Use for Epson SureColor Series printers or any solvent printer. Used for periodic print head washing. Contains ONE Cleaning Cartridge with 350 ml of cleaning fluid. This cartridge may be able to be used for multiple cleanings. One-year supply of additional cleaning supplies for the Epson Stylus Pro GS6000. Kit includes plastic gloves, 12 cleaning sticks, Rail Oil cleaning tool, Rail Oil and a replacement flushing pad. Printer maintenance kit used for periodic print head cleaning of the Epson SureColor S-Series printers. This kit includes a replacement air filters (x2), flushing pad, fabric wiper, and gloves.